We live in a time when technology is rapidly advancing and at a rate that’s much faster than ever before. The industry has to consider the various new technologies and innovative approaches that are becoming available – and fast. Now is the time to adopt the next wave of technologies coming through to support the long-term vision of the mining and resources sector in Australia. Australia’s mining industry is a world-leader and in good shape in terms of developments in automation, robotics and surface sensing. 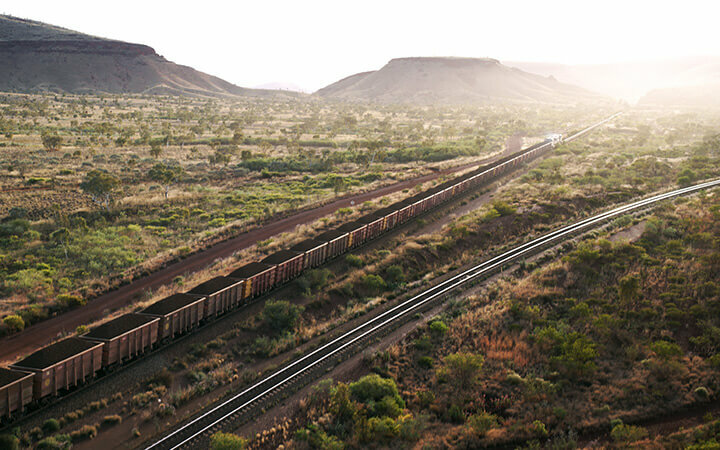 For example, Rio Tinto has made a breakthrough with its autonomous train program – considered the world’s largest robot – up-and-running this year to deliver its first haul of iron ore from Tom Price to Cape Lambert. But we need to ramp up our innovation efforts to address other major challenges the industry is facing. Rio Tinto’s AutoHaul train in action. 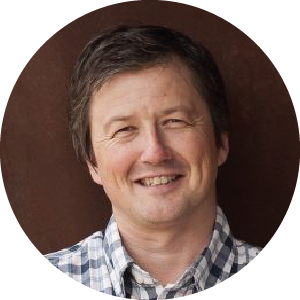 For example, as near-surface resources are exhausted in Australia, now more than ever we need to explore deeper to find hidden resources that exist under the covered landscape. Over 80 per cent of our continent is poorly or not explored at all, so there’s a huge opportunity if we can tackle the technical challenges in exploring the more remote and deeper parts of Australia. We need new technologies to meaningfully explore through this cover and deliver the next wave of resource discoveries – and a challenge of this scale requires collaboration between research groups, industry and government. What does the ‘next wave’ hold? Part of the next wave is the ability to fully sense, image and predict the mineralogy, texture and structure that orebodies comprise. We call this “orebody knowledge” which is crucial for developing new mines – specifically for making early predictions of how ore will behave downstream through mining, mineral processing, and ultimately minesite environmental performance and remediation. One of the big questions is how do we delve into a real value-based approach to orebody knowledge for industry? A value-based approach considers more than just the fleet moving the material and delivering the product. We have to take the same kind of scientific approach to orebody sensing, risk and uncertainty that is starting to be employed to remote operation, trucks, drill rigs and trains. We need to apply this approach to the orebody itself, and the geology that surrounds it, to maximise the true triple bottom line value of a resource. There are so many gains to be made here. It requires the next level of sensing technology, mineral characterisation and the conversion of data to knowledge in order to maximise the value we can get out of the deposits that we have. There’s a lot to look forward to in the years ahead. CSIRO is developing future science in Deep Earth Imaging that seeks to help provide sub-surface imaging capability to deliver a next wave of geoscience knowledge. At the same time, we are developing new sensors to make way for selective mining and ore management. We recently created a new company NextOre, in partnership with RFC Ambrian and Advisian Digital, which is enabling bulk ore sorting of copper. Australia has been a leading mining nation for over 100 years and one of our global advantages is our track record of industry innovation – we’ve exported technology around the world – from the methods of the late 1800s through to the modern mining methods that are used globally today. The technology itself is a very important part of our resources-related export economy, not just the ore. In fact, we are arguably the global number one when it comes to the mineral resources-related technology sector. If we can develop the innovation needed to tackle the Australian mining industry’s challenges, then we can enjoy long-term prosperity from the resource industry long into the future.